I'm linking up once again with Kacey from Doodle Bugs Teaching for Five for Friday! 1. 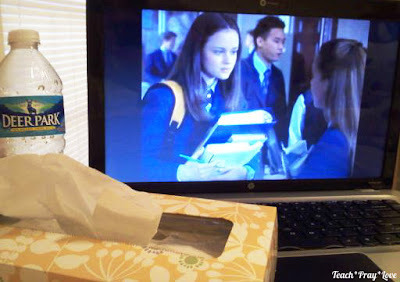 I spent the end of last week and the beginning of this week sick. :( I'm glad I found Gilmore Girls on Hulu to watch while I was resting. 2. 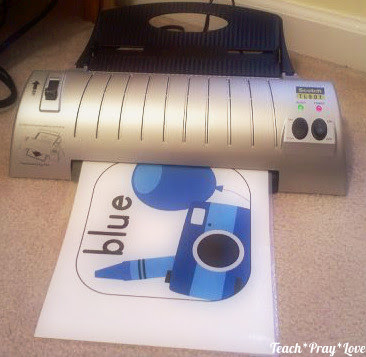 Tuesday I printed and laminated the cutest color posters! 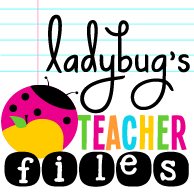 These were created by none other than the fabulous Kristen from Ladybug's Teacher Files. These are part of her Bright and Clear collection and she has two different sets to choose from Zaner - Bloser and D'Nealian. Click on the links to visit her store! 3. I met with my academic advisor on Wednesday for my last advisement appointment. I was going to take the summer off from school, but she gave me the option to take a math class over the summer. I'll be taking Informal Geometry for the Pre-Service Teacher at 8:00 in the morning Tuesday and Thursday this summer. Yes, I realize the summers are for relaxing, but this will be one less class I have to take in the fall during my student teaching. 4. Cody and I ended this long school week today with lunch at my favorite restaurant. 5. I reached over 200 followers this week! I am so blessed to have such great followers and I would like to thank you all by hosting a 200 followers giveaway. I have some awesome prizes that I am ready to share with one lucky winner so be on the lookout for this giveaway Monday! I love Gilmore Girls! I hope you're feeling better. Your color posters look cute! I hope you are feeling better. I am your newest follower. If you need something else for your giveaway, I would be willing to donate. Thank you for your offer Terri! I am feeling a lot better. Thank you for becoming my newest fabulous follower! I totally took classes one summer to save myself a full semester in school! It was tough but worth it in the end! :) Congrats on 200 followers! I just hit 200 too! Congratulations on hitting 200 followers Kimberly Ann! I have taken classes every semester since the fall of 2011 so I'm ready for a break, but I think taking one class this summer will definitely be worth it! Thanks for stopping by!